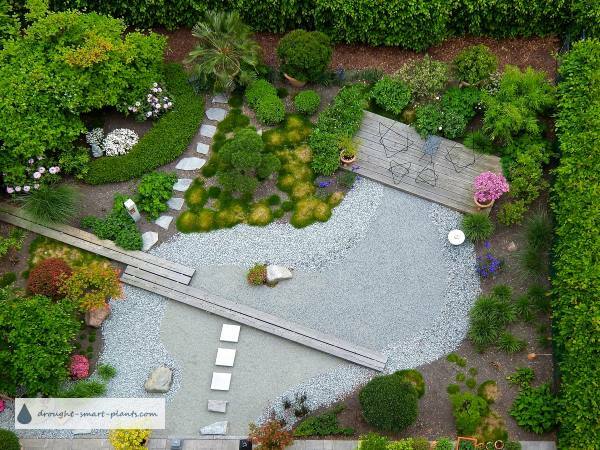 Your landscaping plans can be long term, with short term goals such as xeric garden projects for the year ahead, with larger projects to take place in subsequent seasons. 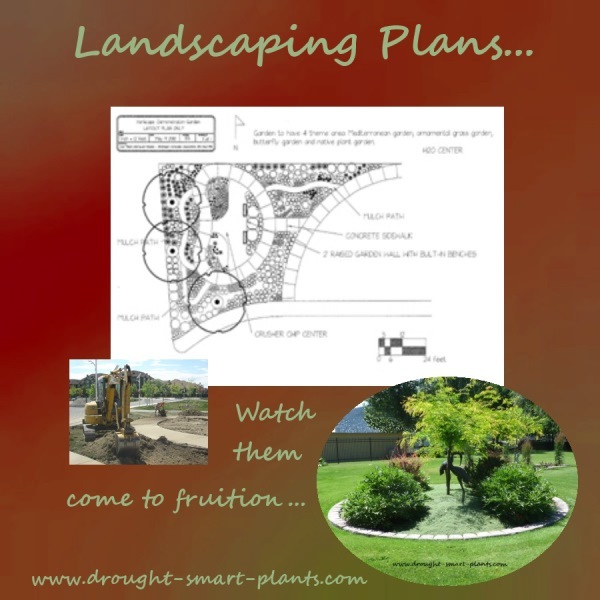 Landscape design ideas are all around us – take advantage of some of the great websites online and magazines for some great starting points. Patio and deck designs for directing water flow into a bog garden, swale or water capture system. Build a rain garden or ecosystem pond to use or store excess rainwater from a green roof. Use xeric garden plants such as xerophytes and other low water plants in beds, borders and gardens. Mulch existing gardens with an earth friendly material such as lava rock or wood chips, especially from local sources. Plant some of my favorite Sedum and Sempervivum to take advantage of their wide ranging roots to prevent soil erosion. Making a scale drawing of your garden with accurate measurements, actual features already in place that you want to keep, and those that can be moved, renovated or removed completely will help keep your focus. Graph paper can be sourced from many places – art shops and survey supply stores will carry a wide range; find one that is easy for you to use – anything that will be easy to translate from your measurements such as ¼” equals one foot, or one centimeter equals one meter. With a long measuring tape take the measurements as accurately as possible and transfer them to your graph paper, itemizing existing trees, shrubs, fences and buildings. If you can scan the result to your computer, it’s easy to add new features or print off copies for drawing your garden ideas on. Your landscaping plans will aid you in designing features that work – ask a professional landscaper to assist in step design, pool or pond features and any hardscaping that you want to include. Waterwise landscaping is all the buzz right now, but care and thought in putting together your landscaping plans will bring it together in a cohesive manner.